Fade is a top-down adventure with twin stick controls. It is set in a mysterious white world in which the main character has to find her way by defeating the enemies and bringing back the colour. She counts with a special sense to let her detect the important devices of the forgotten world. Strategy in combat will be crucial to defeat the enemies in the most advantageous spot. By destroying the black spheres that are the core of every enemy, the world reveals a part of its previous state and colour. Many of those revealed elements are needed for the player to progress through the game. 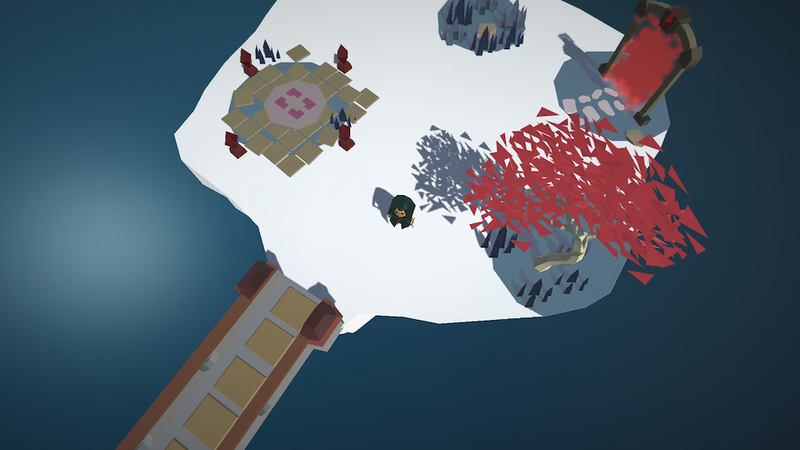 This way, a combat phase leads to a puzzle. Although both kinds of gameplay are usually interrelated. But she has to be careful. Same as they did with the rest of the world, the enemies will try to get her colour. Before turning completely white and dying, she can absorb colour from the already revealed ground. In Fade, the player has to bring back the colour to a white and mysterious world.